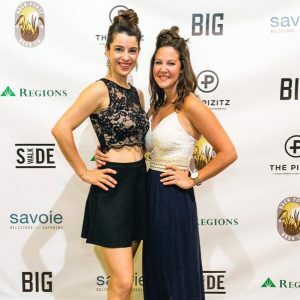 This August will see one of the biggest annual film festivals to take place in the South Eastern United States. The Sidewalk Film Festival is once again set to bring recognition to the best independent films of the year. The festival takes place in the famous Theatre District of Birmingham, Alabama every year. Screening venues include the Lyric Theatre and the Alabama Theatre, a 2,200 seat movie venue that is the largest the state has to offer. The Sidewalk Film Festival is produced by Sidewalk, an acclaimed non-profit organization. It aims to promote a bigger audience for independent film and foster filmmaking in Alabama. Each year, the festival screens more than 250 movies from filmmakers from the U.S and around the world. It is attended by more than 15,000 film fans each year. The event allows filmmakers to share their work with an audience of film enthusiasts and important film personalities. The Sidewalk Film Festival celebrates its 20th anniversary this year. In line with this celebration, the committee has released its special line-up and schedule. The festival is proud to show two opening night films in honor of the celebration. The festival will also show 27 documentary features, 27 narrative features, and 23 other short films. There will also be a program of family and kids films too. Attendees can also expect two exclusive special events, two closing night films and an awards show. This doesn’t include the 8 feature film highlights, and a selection of workshops, panels, and VR programs. The full schedule of these events is yet to be announced, so stay tuned! The Sidewalk organization began life back in 1999 as the Alabama Moving Image Association. Its founders include Kelli McCall Franklin, Erik Jambor, and Wayne Franklin. The association was passionate about independent films and ultimately this passion led to the birth of the Sidewalk Film Festival. The inaugural festival was named The Sidewalk Moving Picture Festival and took place on the first weekend of May in 1999. The event was attended by about 4,000 people. The festival took place in the Theatre District of Birmingham, which was when the event’s relationship with the Alabama Theatre was first established. The event had an outdoor screening area where people were able to watch films in their tents. The first executive director of the festival was Erik Jambor. He served as the executive director from 1999-2006. In 2006, Catherine Pfitzer became the festival’s new executive director, a role that she continues to this day. The Sidewalk organization values inclusion and diversity and is an advocate of equal opportunity regardless of race, color, gender, religion, age, sexual orientation, national origin, etc. In accordance with this, in 2006, Sidewalk created the SHOUT LGBTQ Film Festival to partner with the main Sidewalk Film Festival. Its founders were Catherine Pfitzer, Jeremy Erdreich, David R. Garrett, and Larry Slater. In the same year, the festival chose to award recognition to writer/director John Sayles and producer Maggie Renzi. Together, they have contributed two decades of artistry to the independent film industry. Their works include famous independent classics such as “The Brother From Another Planet”, “Lone Star”, “Passion Fish”, and “Silver City”. 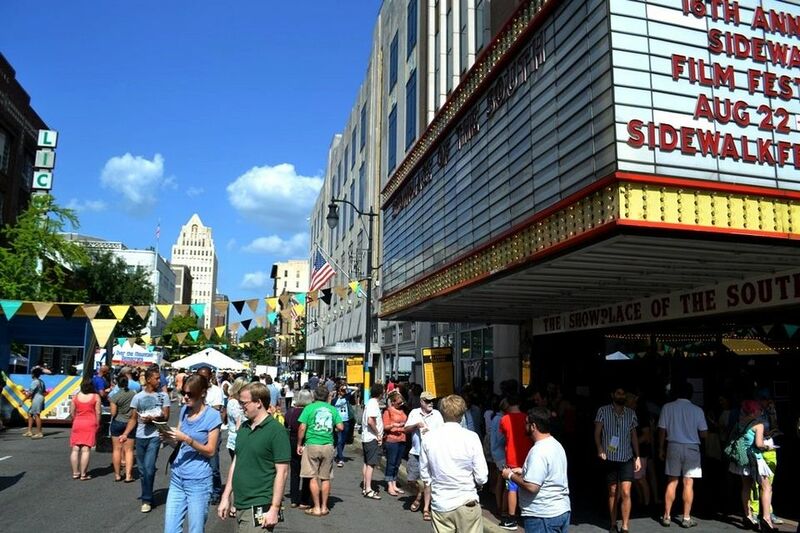 In 2010, the official name of the festival was changed to the Sidewalk Film Festival. The festival has received lots of international attention as a result of the article. It has been expanding its program to bring it in line with other international events. Sidewalk started several education and outreach programs to encourage young talent to submit short films to the festival. It has produced a Screentalks program which features a screening and panel discussion of a selected independent film. It has also started a monthly discussion event, called the Salon, which has become very popular with local filmmakers. The Sidewalk Film Festival has partnered with FilmFreeway to allow for submission of films into the festival. The call for entries for the 2018 Sidewalk Film Festival has already closed. The extended deadline for submission was on April 16, 2018. If you are a filmmaker and you wish to enter your film for the next festival, visit FilmFreeway or Sidewalk’s official website for announcements on submission dates. For a complete list of submission rules and terms, eligibility, entry fee discounts, and prizes, visit the FilmFreeway website at https://filmfreeway.com/Sidewalkfilm. For all other queries, updates, and news on the festival’s line-up and schedule of events, you can visit Sidewalk’s official website at https://sidewalkfest.com. The Sidewalk Film Festival starts on August 20, 2018, and runs until August 26, 2018.